In the last 40+ years, we’ve seen the launch of several high-minded educational television networks. TLC (“The Learning Channel”) was founded in 1972 to be an instructional network providing real education through the medium of television. The Discovery Channel was established in 1985 to provide documentaries focused primarily on science, technology and history. The History Channel, established in 1995, originally broadcast documentaries and historical fiction series. But what these channels are most known for today are their reality series and pseudo-documentaries like Here Comes Honey Boo Boo and Jon & Kate Plus 8. After starting out with lofty ambitions to educate and inform, how did they end up peddling brain-dead entertainment? These companies were not purpose-driven, and instead placed profit-making as their highest priority. Reality television was too profitable for programmers to resist. Reality programs are relatively cheap to produce and are like catnip for the viewing public. Most networks have jumped on the bandwagon – the number of reality shows skyrocketed from four in 2000 to 320 in 2010. So you might wonder what’s the big deal? Ultimately these networks are in business to make money and have evolved their offerings to what the market wants. And doesn’t the Friedman doctrine declare that the only concern a company should have is to increase profits for itself and shareholders? Well, it turns out paradoxically that companies with a purpose beyond profit tend to make more money. These companies take the leap of faith that if they deliver on their purpose, they will ultimately be rewarded monetarily. For most companies, the purpose is delivering a customer benefit that makes customers happy and promotes positive word-of-mouth, which ultimately drives long-term growth. For social enterprises, the purpose is to make a positive impact on society. 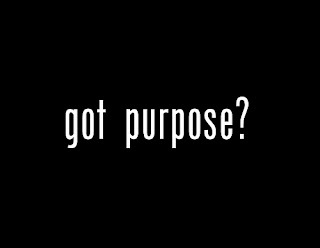 Being purpose-driven has a positive effect on company culture. Employees will self-select into the company because they are motivated by the purpose. The purpose becomes the rallying cry that inspires employees to overcome the most difficult of challenges. Metrics derived from purpose provide the best feedback on what needs to be done to improve. When profits and revenue are the only metrics that are measured and discussed by leadership, the company may begin to drift and start making decisions that are misaligned with their customer benefit. This can lead to bad profits. We all have purchased products and services from companies that seem to have only profit in mind. We badmouth them to others at every turn and can’t wait to find a better alternative. These companies probably don’t have rosy long-term prospects. Putting profits over purpose may pay off in the short term, but it’s almost always a loser in the long term. This is not to say that profits don’t matter (they do! ), but the company purpose should always have primacy. Apple and Facebook are recent examples of companies that reaped big monetary rewards by putting purpose before profit. We learn in Walter Isaacson’s biography Steve Jobs how the Apple CEO delayed the launch of the original iPhone because it didn’t quite meet the bar of delivering something “insanely great.” According to Jobs, “the whole device felt too masculine, task-driven, efficient.” The team redesigned the case, requiring an expensive redo of the componentry inside. On release, the iPhone was an unprecedented success, disrupting the mobile market and becoming a major driver of Apple’s revenue and profit growth. In the case of Facebook, David Kirkpatrick relates in The Facebook Effect how early on, Mark Zuckerberg turned down advertising revenue that would have compromised the site. This was despite the fact that the startup was cash-strapped with expenses growing every day. Refusing to compromise on the user experience that would “give people the power to share and make the world more open and connected” paid off. Facebook would eventually become the world’s dominant social network and a hugely profitable company. If you are an entrepreneur launching your new enterprise, think long and hard about your purpose beyond profit. Make that purpose central to your pitch to prospective investors and employees. 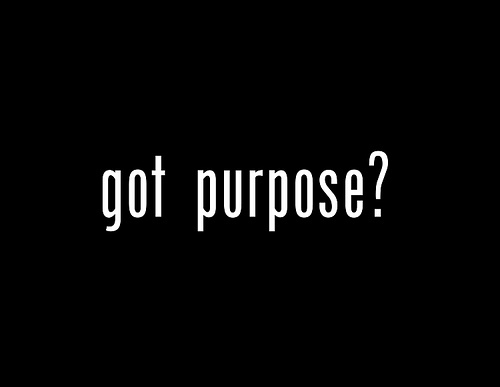 Make achieving that purpose what drives your company forward. On the other hand, if you’re just in it to get rich, then perhaps reality TV is the way to go (although the boom days of reality TV may be over).